If there is only one output, when two are needed, this adapter can provide that second shot. 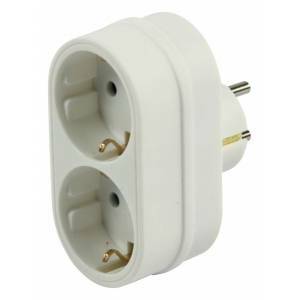 The plug is a version of CEE7 / 4 (without hole grounding). It can be used for most European countries such as Germany, the Netherlands, Sweden, Norway, Finland, Portugal, Spain, Hungary, etc.